Today’s pace of business only grows faster. Disruption is the norm. We understand that success today requires being nimble to risk and responsive to opportunity. Future focused. Forward facing. Moving fast. Purposefully agile. Great brands stand for something while never standing still. They need to be designed to flex; be shaped by an ongoing conversation with customers and employees; work easily across multiple platforms; be more focused on relevance than consistency and measure themselves more by how well they lead. At H+K, we understand how audiences think and engage with their environments. We recognise that in today’s ever-connected world, it’s all about integrated communications. It can no longer be about business-to-business or business-to-consumer. We build ecosystems with human experience at the front and centre – business-to-human integrated communications. We put purpose and performance at the centre of everything we do because together they drive preference. Smart brands care about making an impact on the world, crafting messages that contribute to a broader purpose. The leaders of our business have both a breadth of experience and a depth of knowledge that allows them to leverage the network and provide specialised advice. Together they guide over 300 consultants with diverse expertise across strategy, content + publishing, providing insight-led ideas and communication strategies for our clients. Our studio of multi-platform content creators, journalists and producers creates compelling narratives and turns them into disruptive content that cuts through when shared with the world. We constantly strive to bring a diverse group of people together to answer our clients’ needs. Clients buy our people as much as they buy our agency, and we are committed to investing in our staff to ensure they are the best they can be. We are committed to ensuring we have an inclusive culture for all of our people. This year, UK companies with over 250 staff on their monthly payroll report on their gender pay gap. 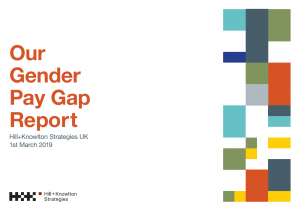 Read our Gender Pay Gap Report here. Iceland’s Christmas advert is a game-changer. And not just because it didn’t make it to our TV screens. The Budget and austerity: the beginning of the end, or the end of the beginning? Johnson’s place in British politics: fringe outsider or party leader contender? Is British transport back on track or still stuck in the tunnel? Sustainable Economics – A Green Treasury Team in Waiting? Renationalisation: ideological throwback or the solution to Britain’s industry woes? A golden moment – but is it a golden opportunity? A case of ‘Awareness Day Fatigue’? Autumn Budget 2017: Did the Chancellor achieve his balancing act? What must the Tories do to appeal to young voters? Does the UK understand what other people think about Brexit? Labour: middle ground, or middle of the hurricane? Is AI the future of healthcare? The Lost Art of Proper Batting? What’s the significance of today’s speech? What’s not in the Queen’s Speech? Who’s behind the Queen’s Speech? General Election series: who’s in and who’s out in financial services? General Election series: Where do we now stand on Brexit? General Election series: who now holds the balance of power? General Election: Is the Conservative campaign starting to go wrong? Mayism: the end of Thatcherism and political ideology as we know it? What does the media think the Conservative manifesto means for the Party? Tuesday Team Talk: The Premier League’s giants may be slumbering, but are their rivalries dead? Article 50: What happens next? Spring Budget 2017: How will Conservatives React? How can energy policy get the scrutiny it deserves? Mind the gap? Yes, I do! What actually happened at Creativity+Humanity? We bring a wealth of specialist expertise to the table, including former journalists, awarded scriptwriters, public policy advisors, directors, animators, and behavioural and data scientists. We are constantly adding fresh talent and looking for ways to hire differently.